There are many factors that can contribute to the cause of unproductivity in companies. It can be the reason employees don’t feel motivated to contribute or do their work well. Therefore, it’s important to address some of these reasons before they become detrimental to your company. It mainly depends on the kind of business that you are dealing with. If your company deals with games and fun associated products, then you may have colors that reflect that. With that in mind, it is also imperative to note that some tones can help your staffs be able to deliver. Blue shades are associated with relaxation; this can be ideal where you want to let your staff de-stress and focus on their projects. Red is a very vibrant color that can have some emotional and passionate effect on a person. If you go for green hues, then your employees are most likely to strain less when looking at their computers, and they are more efficient. It is a huge factor in any office. Getting an office with the right amount of natural light can spell the difference between success or failure when it comes to the way your staff work. Big windows that open up to the daylight are essential when looking for office space on rent Singapore. A dull office can make employees anxious and sad. In case you don’t get the big open windows that are advisable then have blue –tinted light installed to brighten the space up. Some offices are so quiet you can hear a pin drop yet some have a lot of noise, too much noise near them. Both scenarios are not very conducive if you want your staff to improve their productivity. Incorporating music in controlled volume can go along way. It wouldn’t be ideal to have an office in a place where there is constant loud noise outside too; this can be very distracting to your employees. Being in a cramped office without proper air circulation can be detrimental to the overall productivity of your staff. Some may even suffer from illnesses that need them to be in a place where clean, fresh air is in plenty of supply. It may also encourage colds and flu especially if one person is affected, infecting the rest in a place where there isn’t a good flow of natural fresh air will be extremely easy. You could have your whole team down with an infection. 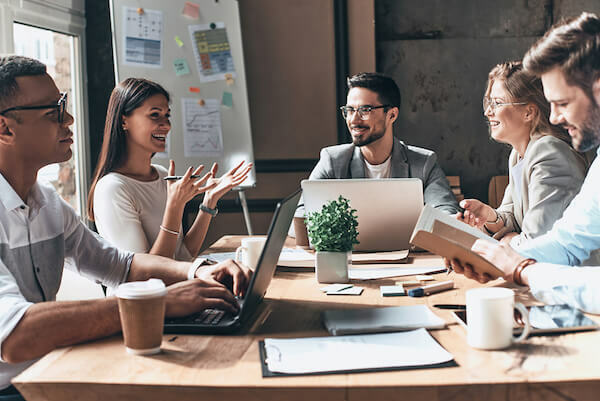 Your employees are a tremendous asset to your company, and you need them to be in the right frame of mind for you to be able to get the best out of them. The kind of office space that you eventually settle for should not just be dictated by the amount you have to pay, but you should think of the long term benefits it will accord your staff.